Excel Dryer’s product line utilises touch free technology. Automatic activation promotes hand hygiene by permitting hand drying without the risk of cross contamination by touching push buttons that others may have touched with soiled hands. Think that brown paper towel is going to leave hands sparkling? Think again. According to a study by the American Journal of Infection Control, (AJIC) unused paper towels made from recycled fibers are home to between 100 to 1,000-fold more bacteria than a wood pulp brand. The bacteria found during the study included the flu virus, Bacillus and Escherichia coli, commonly known as E. coli, the main cause of food poisoning. Dry or damp paper towels don’t often find their way into the wastebin. Instead they may be thrown into the toilet. According to the Alliance for Water Efficiency (AWE) paper towels are the most common cause for clogged toilets which can create a lasting source of bacterial infection if dirty water gets on the floor. 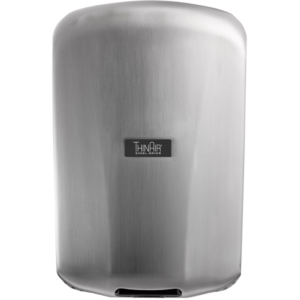 In places where hygiene is of the upmost importance such as hospitals, the installation of a XLERATOR Hand Dryer can help keep a washroom sanitary and significantly reduce labour, maintenance and waste. It’s all about hand dryer style and hands under is in, while trough style is out. A recent investigative report by a CBS-affiliate television station in Chicago found that the trough style hand dryers are actually blowing bacteria back onto people’s hands. Following the Loyola University Medical Center’s lab protocol, the reporter tested hands that had been washed and then retested the same hands after drying in a trough style hand dryer. Half of those tests showed hands were dirtier after they were dried in those particular machines. Trough style dryers collect water, unlike hands under dryers, which is why this design is flawed and not the most hygienic option. 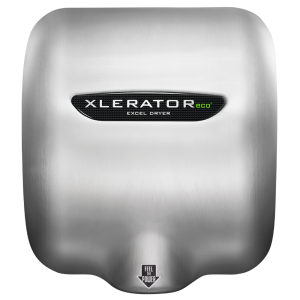 Speaking of hand dryer style and hand hygiene, Excel Dryer offers the industry’s most complete line of optional accessories including a HEPA Filtration System that removes 99.97% of potentially present bacteria at 0.3 microns from the air stream. 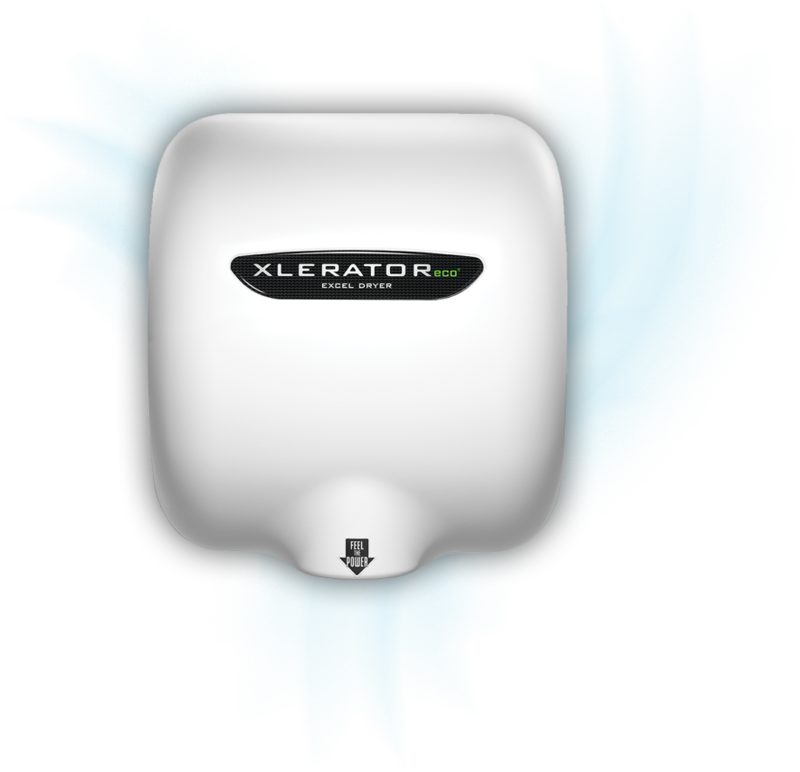 The MICROBAN® Wall Guards are antimicrobial and are made specifically to fit underneath XLERATOR Hand Dryers. The guards have a special coating that protects walls from water droplets and kills germs. Remember, it all comes out in the wash. Proper hand washing can prevent the spreading of infectious diseases. The American Cleaning Institute® and the Centers for Disease Control (CDC) recommends washing hands with antibacterial soap for around 20 seconds or singing “Happy Birthday” twice. It is also important to dry hands completely as germs stick to wet/damp hands more than dry hands.